As Sir Barnaby Rowbotham died He turned and he said to his maid, "The Albert Memurrial 's the place for my burial, The first on the left, just inside." 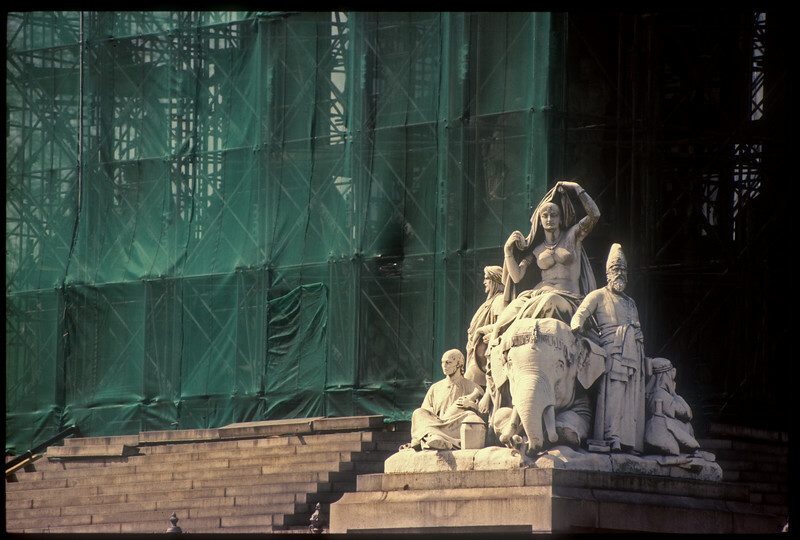 Asia, while the Memorial was being restored - slowly and at huge expense - in the early 90s. Taken on Fujichrome with a Nikon and early 80-200/2.8 AF.